Oregon Jr. Closed Champion: DAVID WEN! 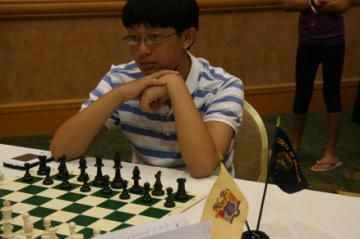 David Wen had a fantastic weekend of chess, going undefeated against a brutal lineup. After drawing against Matt Dalthorp in the first round, he went on to beat beat Alexandra Botez, Max Sun, Calvin Parnon, and Steven Witt to finish clear first with 4.5/5, a full point and a half against second place finisher Steven Witt.